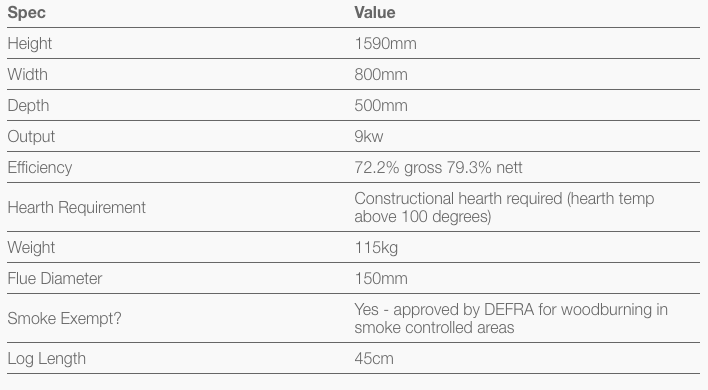 ​Designed for woodburning only, this Smoke Exempt stove allows you to burn wood even in smoke controlled areas. Featuring a premium grade cast iron firebox for durability and efficient heat transfer and a matching steel canopy to radiate heat back into the room. 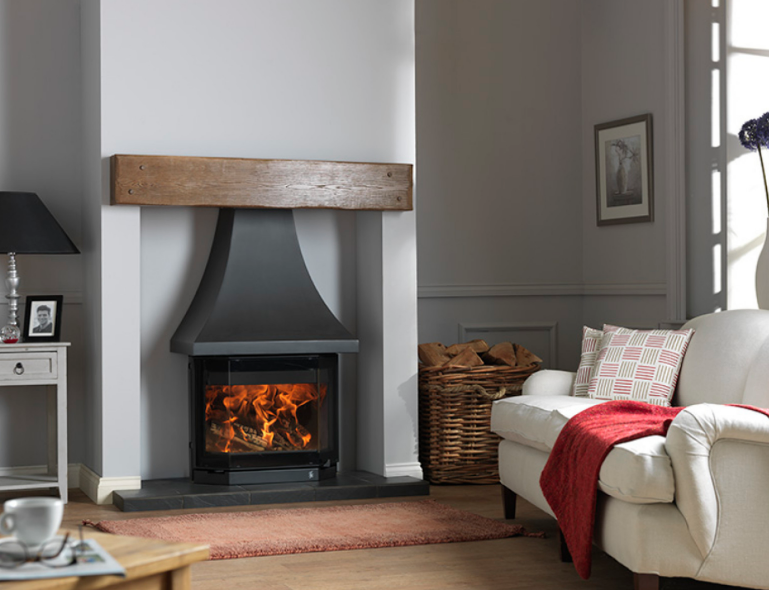 With it's 9Kw output the Elmdale is a stunning choice for larger rooms and fireplace settings.